Blackstone Kitchen & Bath is a leading design build renovation firm. Our approach is centered around you, from discovering your goals, budget and lifestyle to final walk through, we are with you every step of the way. Our professionally trained, gifted, up on the latest trends designers will be your renovation Sherpa, guide you all the way to the fruition of your vision. It’s a true collaboration that makes the entire process not only easy but dare we say delightful. Blackstone approach combines expert design and planning with superior craftsmanship to deliver the highest quality kitchen, Bathroom, Basement renovations in Howard, Carroll, Ann Arundel & Montgomery county. As a result Blackstone is able to utilize budgets more evenly, maintain realistic schedules, and deliver the award winning projects we are known for. We make it easy, Functional, Beautiful & Affordable. Kitchen renovations can be stressful when you consider the myriad decisions surrounding design, products, and construction. Whatever your dream kitchen includes, the possibilities are thrilling. Yet, how do you move from vision to reality without going over budget or going slightly insane? Blackstone Kitchen & Bath makes it fun, easy and affordable. Contact us today. Personal Attention from professional designers. When you choose Blackstone for your next bathroom renovation, you will be working with a team that is dedicated to making the home remodeling process fun, easy and seamless, we’ll not only take the time to answer any questions you may have, but we’ll also educate you on our entire process. Let our team help you realize the bathroom of your dreams. "I Initially hired Blackstone to remodel my master bath and when that turned out so beautiful and was done in less time. I hired them again to remodel my kitchen and other small renovations around the house. 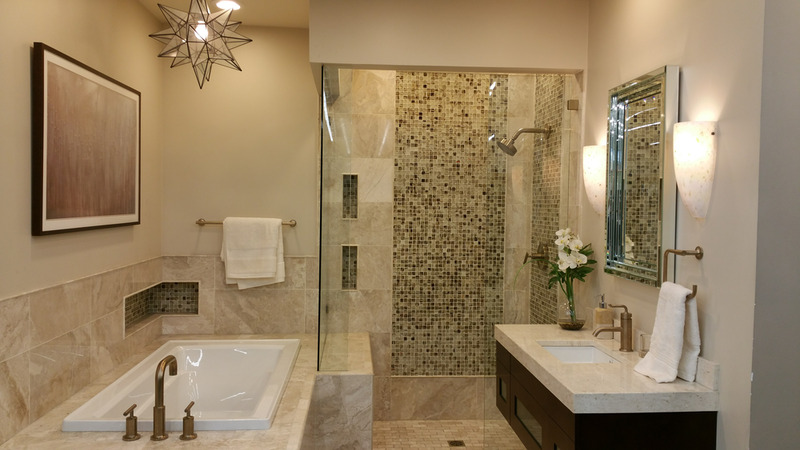 what is so great about them is that they have true craftsmen, incredible attention to detail and can do it all from design to tile work to electrical to plumbing to carpentry. When you hire Blackstone kitchen & Bath everything you will even need for your project is all right there in one complete professional yet friendly package! I love everything they have done for me and you will too ." Contact Blackstone Kitchen & Bath today and schedule a design meeting with one of our designers. Simply fill out the form on this page or call 410-449-1020 today, and we’ll get back to you as soon as possible.